For the most part, people don’t get any money at all on their short-term savings and if they do it’s minuscule at best. If you put your money in a savings account, you can expect to earn very little in most cases. Factor in inflation and you're actually losing money in most cases. 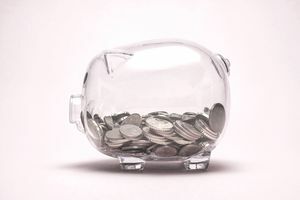 In this article, I'm going to show you how to get the most out of a savings account. Because every dollar that you earn that you don’t have to work for is basically free money. And free money is always a good thing. That’s why it’s important to know what you’re earning. Bankrate recently did a survey that showed that at least one in four Americans don’t know the interest rate that their savings account yields. If you’re one of those people, don’t worry you are not alone. Most of the time what I’ve seen is that if you don’t know what your savings account is paying you in interest, then it’s not paying enough. Right now, interest rates are actually going up a little. So, it’s time to get excited about savings again. Changing to a bank account with higher interest rates is worth it no matter how much you have to deposit. When you’re making more money on your money it’s more fun to save and promotes good habits. A savings account can help you to save for an emergency, or for any other occasion – like a wedding or retirement. It’s always good to have a little money stashed away. And earning money on your money is simply fantastic. Short-term savings rates are never going to be as high as returns on certificates of deposit or the stock market over time. But short-term savings are liquid, meaning you can get access to your money quickly and without any penalty. All savings accounts at banks and credit unions are FDIC insured by the government for up to $250,000 each, so you have little risk. Unfortunately, the national average of savings accounts is ridiculously low at .09%, but if you shop around, you can get much better rates than that and your money can grow. Most the time you’ll find your best rates at online-only banks. These are also called direct banks. Online only banks don’t have as many overhead costs as traditional brick-and-mortar banks and often pass the savings onto the customers in the form of higher interest rates on both savings accounts and certificates of deposit. Online only banks are currently offering interest rates of over 2% in some cases. So, it’s worth shopping around. Now that you know how to get the best rates, let’s look at a couple of methods to save money painlessly. Round up Programs: One of my favorite ways of building up a savings account is to use some of the new “round up programs”. These are programs that some banks offer that allow you to round up all your debit card purchases to your nearest dollar and put the change in your bank account. This is a painless way to add money to your account that you won’t even notice and it can add up really fast. Automatic Transfers: Every time you get paid, your bank can send money to your savings account without you having to touch the money. These automatic transfers can be set up in any amount. If money is tight, start with five dollars at a time and raise it when you have a little bit of extra. The most important thing is to get into a habit of saving by using either of these two techniques (or both) and making it happen automatically without you having to do anything. Short-term savings are an important buffer for unexpected events––like washers breaking down, for medium-term planning––like saving for vacations, or just to build up enough money to put into longer-term investments. In order to get the most out of your short-term savings, you should always look for the very best interest rate you can find; 2% doesn’t sound like a lot but it can really add up over time.